Parent's views are important to us. We regularly offer parents the chance to give feedback in school through paper based questionnaires and comment slips for example. 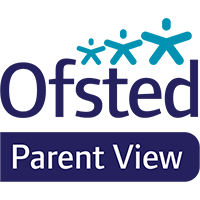 One way to give your opinions is via Parent View, a website run by Ofsted which gives you the chance to express your views about your child’s school. Click the link below to I've your views. Please also remember to see your child's class teacher if you would like to discuss anything about their learning and welfare.